"During my first year at Berkeley I arrived late one day to one of Neyman's classes. On the blackboard were two problems which I assumed had been assigned for homework. I copied them down. A few days later I apologized to Neyman for taking so long to do the homework -- the problems seemed to be a little harder to do than usual. I asked him if he still wanted the work. He told me to throw it on his desk. I did so reluctantly because his desk was covered with such a heap of papers that I feared my homework would be lost there forever." "I learned the Ravel repertoire mostly when I was so young that the extreme difficulties somehow didn't bother me. Gaspard de la Nuit came into my life at fifteen. I just didn't know how hard it was." It seems there is a lot to be said for not knowing how hard things are. Dantzig had all but completed his degree in 1941, but WW2 then interrupted. WW2 had its problems for many of us, but it undeniably gave enormous opportunities for the development of statistics, the practical stepsister of mathematics. Dantzig want to Washington in 1941 as Head of the Combat Analysis Branch of the Air Force's Headquarters Statistical Control. "I also helped other divisions of the Air Staff prepare plans called "programs." Everything was planned in greatest detail: all the nuts and bolts, the procurement of airplanes, the detailed manufacture of everything. There were hundreds of thousands of different kinds of material goods and perhaps fifty thousand specialties of people." This gigantic problem of finding the optimal intersection, the optimal "program," for all these interconnected flowlines, was one of great difficulty. For his contribution to this and other urgent problems of managerial logistics, he was awarded the War Department's Exceptional Civilian Service Medal in 1944. He left this post in 1946, and returned to Berkeley for a semester to finish his degree. He declined an offered junior position at Berkeley due to the tiny salary. In June he was back in Washington, where he accepted a post as Mathematical Advisor to the Defense Department, to work on mechanizing the planning process. In 1947, based partly on his earlier work with aircraft supply flowlines, he discovered what is called the simplex method of linear programming. Its first large-scale test involved a problem with 9 equations in 77 unknowns, which, with the calculating machinery available at the time, took 120 man-days of labor to solve. Computers, which had been developed but not fully exploited during the war, were the obvious next step. In 1952 Dantzig went to work for the RAND Corporation, on implementing the simplex method on computers. In 1960 he accepted a teaching position at Berkeley, moving in 1966 to Stanford as Professor of Operations Research and Computer Science. The power of the simplex method (as was also true of Wilcoxon and his nonparametric methods, which had been published two years earlier, in 1945) continued to surprise Dantzig himself. Thanks in large part to his own vigorous following up of his initial success, the simplex method is now said to underlie more computer-time use than anything else. His still classic book on the subject, Linear Programming and Extensions, appeared in 1963. 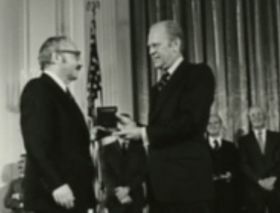 In 1975 came the first of many prizes recognizing the importance of the method. Appropriately enough, given von Neumann's role in pushing for the first computer during WW2, this was the von Neumann Theory Prize in Operational Research. Other recognitions followed. Not including the Nobel (technically, the Bank of Sweden Prize in Economics), which in 1975 went to Koopmans and Kantorovich for an achievement to which Dantzig had also made a decisive contribution: the mathematical theory of the allocation of scarce resources. So upset was Koopmans at Dantzig's omission, that he suggested to Kantorovich that they refuse the prize themselves. Famous once a year is Stockholm, and famous down the years are the lapses of Stockholm. Dantzig had technically retired in 1973 from Stanford, but continued active until 1977. As late as 2001, he was listed as Chief of Operations Research and Computer Systems at Stanford, as well as Co-Director of the Systems Optimization Lab, and Director of the PILOT Energy-Economic Model Project. His achievements are recorded in detail, along with many reminiscences by himself and others, at the web site maintained by his student Saul Gass. George Bernard Dantzig (; November 8, 1914 – May 13, 2005) was an American mathematical scientist who made important contributions to operations research, computer science, economics, and statistics. Born in Portland, Oregon, George Bernard Dantzig was named after George Bernard Shaw, the Irish writer. His father, Tobias Dantzig, was a BalticGerman mathematician and linguist, and his mother, Anja Dantzig (née Ourisson), was a French linguist of Jewish origin. Dantzig's parents met during their study at the University of Paris, where Tobias studied mathematics under Henri Poincaré, after whom Dantzig's brother was named. The Dantzigs immigrated to the United States, where they settled in Portland, Oregon. Freund wrote further that "through his research in mathematical theory, computation, economic analysis, and applications to industrial problems, Dantzig has contributed more than any other researcher to the remarkable development of linear programming". ^ abcRichard W. Cottle, B. Curtis Eaves and Michael A. Saunders (2006). "Memorial Resolution: George Bernard Dantzig". Stanford Report, June 7, 2006. ^ abcdefgh Albers, Donald J.; Alexanderson, Gerald L.; Reid, Constance, eds. (1990). "George B. Dantzig". More Mathematical People. Harcourt Brace Jovanovich. pp. 60–79. ISBN 978-0-15-158175-7. ^Robert Freund (1994). 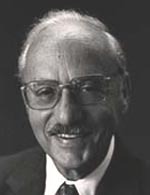 "Professor George Dantzig: Linear Programming Founder Turns 80". In: SIAM News, November 1994. ^ ab "The Unsolvable Math Problem". Snopes. June 28, 2011. ^ Allende, Sira M.; Bouza, Carlos N. (2005). "Professor George Bernard Dantzig, Life & Legend"(PDF). Revista Investigación Operacional. 26 (3): 205–11. Cottle, Richard; Johnson, Ellis; Wets, Roger (March 2007). "George B. Dantzig (1914–2005)"(PDF). Notices of the American Mathematical Society. 54 (3): 344–62.